As members of the Ignatian Solidarity Network we stand with Pope Francis, the U.S. Catholic Bishops, and the Jesuit Conference of Canada and the United States in calling for meaningful action to address climate change that cares for creation and prioritizes the needs of the poor and vulnerable. We ask our government leaders to demonstrate bold leadership in addressing the climate crisis by honoring the Paris Agreement, contributing to the Green Climate Fund, implementing the Clean Power Plan and supporting just transition and job creation. Protect our common home and public health, and support job creation and economic opportunity by encouraging states to craft plans to reach and exceed their Clean Power Plan carbon reduction goals by transitioning to renewable energy sources like wind and solar power and enacting energy efficiency and conservation standards. Support just transition and job creation by developing policies that ensure that affected workers and communities are provided assistance and are meaningfully involved in the transition to a energy-efficient, climate resilient and clean energy economy. Pope Benedict XVI said “Our earth speaks to us, and we must listen if we want to survive.” Since 1998, seven of the top ten warmest years globally have been recorded. The rising temperatures have increased the strength and frequency of natural disasters worldwide. In 2012 alone, natural disaster-related damages cost $100 billion and affected 125 million people worldwide. Over 90% of those persons most severely affected by climate change were from developing countries that have contributed least to global carbon emissions. In the United States, extreme heat events are the leading weather-related cause of death in the U.S (700/year). 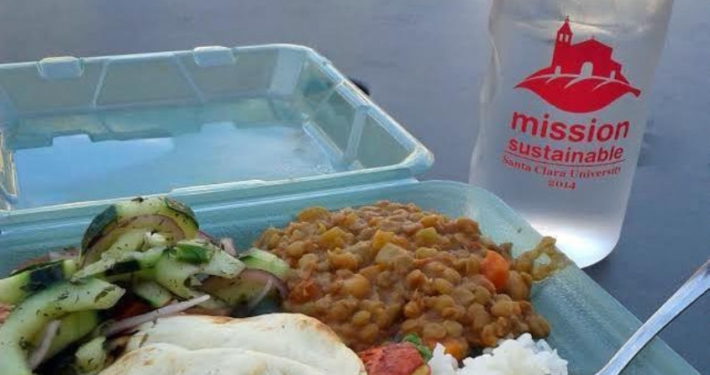 People living in poverty are disproportionately more susceptible to illness or death from extreme heat or cold due to the deadly mix of likelihood of exposure and fewer resources. On June 25, 2013, President Obama took several executive actions in order to reduce carbon emissions and increase worldwide resiliency to climate change. In conjunction with President Obama’s actions, the Clean Power Plan was introduced by the EPA in June 2014 as a blueprint as to how to cut carbon emissions from power plants and promote higher environmental standards nationwide. The Clean Power Plan builds on existing statewide carbon reduction initiatives and encourages increased use of renewable energy and energy efficiency practices, without any increases in costs to consumers. Establishing and continuing relationships with your Senators and Representatives is crucial to advocating for justice. As both representatives and members of your communities, every Senator and Representative has an office–often multiple offices–in their home states. Visits to these offices are an impactful way to speak, neighbor to neighbor, with representatives and let them know why and how the laws and policies pertaining to environmental justice impact your community. The St. Francis Pledge is a promise and a commitment by Catholic individuals, families, parishes, organizations and institutions to live our faith by protecting God’s Creation and advocating on behalf of people in poverty who face the harshest impacts of global climate change. To join the Covenant, you commit to act on each of the five elements of the St. Francis Pledge. Catholic Climate Covenant: The Friending Planet Earth packet is a fantastic resource for education students on sustainability and climate change. The packet includes six learning sessions on climate change that can be used in classrooms. The National Religious Partnership for the Environment: In their letter to President Obama the US Conference of Catholic Bishops, National Council of Churches of Christ, Coalition on the Environment and Jewish Life, and the Evangelical Environmental Network each urge President Obama to protect and assist the poorest peoples and nations, to care for God’s creation, and to fulfill our obligations to future generations. U.S. Environmental Protection Agency: Environmental Justice is the fair treatment and meaningful involvement of all people regardless of race, color, national origin, or income with respect to the development, implementation, and enforcement of environmental laws, regulations, and policies. Earth Healing: Daily reflections and homilies on Simple Living and the Environment by Jesuit Father Albert Fritsch. EPA On Campus Eco Ambassadors: Working with school representatives and fellow students, OnCampus ecoAmbassadors implement projects from EPA programs to help green their campuses, promote environmental awareness and carry out the EPA’s mission to protect human health and the environment. Conversations on Jesuit Higher Education Magazine: “Our 28 Jesuit colleges and universities make significant contributions to the movement to protect the earth that has evolved in recent decades. The stories in these pages witness an amazing variety of approaches to environmental questions, all designed to get something done.” This edition of Conversations grapples with how our universities have responded to Laudato Si’ so that we might continue to work for ecological justice. Climate Change: Our Call to Conversion Guide to Intercommunity Peace and Justice Center’s four session process for faith communities. Each session includes prayer, education, catholic social teaching, analysis, discussion, signs of hope and action. Fordham Environmental Law Review ELR is published three times per year and addresses topics in environmental law, legislation and public policy. ELR also sponsors an annual symposium featuring scholarly papers and panel discussions centered on an environmental issue. Energy, Justice, and Peace by Pontifical Council for Justice and Peace A reflection on energy in the current context of development and environmental protection. 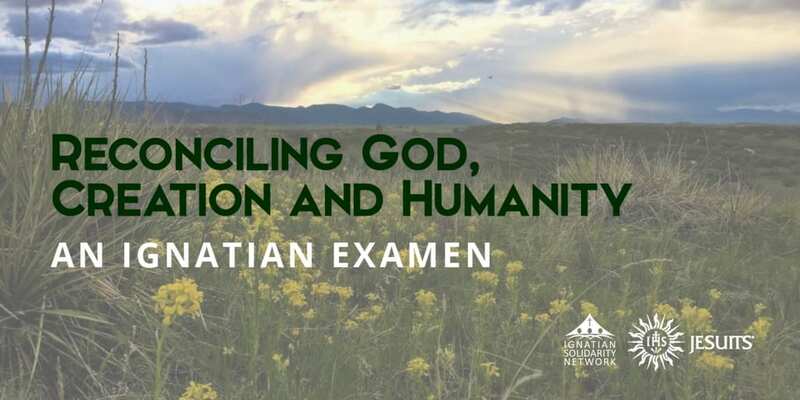 Professor Erin Lothes Biviano of the College of St. Elizabeth provides a helpful analysis of the text here (Source: Catholic Moral Theology; Catholic Climate Covenant). Healing Earth Interactive, introductory level textbook available for free. The writers seek to heighten awareness around environmental issues and work toward healing our Earth. To add your student group to the list please contact Jacqueline, Organizing & Advocacy Associate, jwyman@ignatiansolidarity.net. 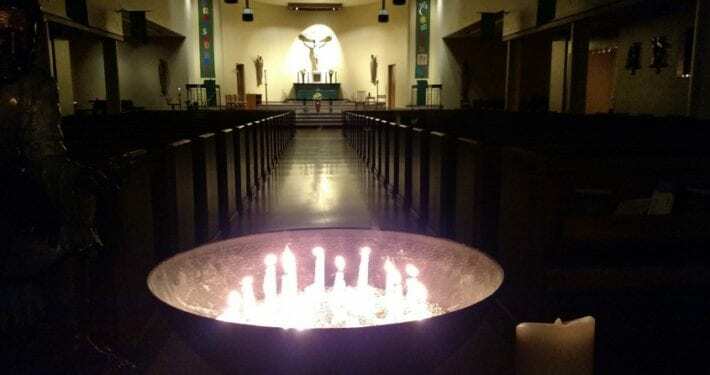 Throughout the Season of Creation, St. Ignatius Church in Portland, OR wove "care for our common home" into liturgy, faith formation, community, & service. 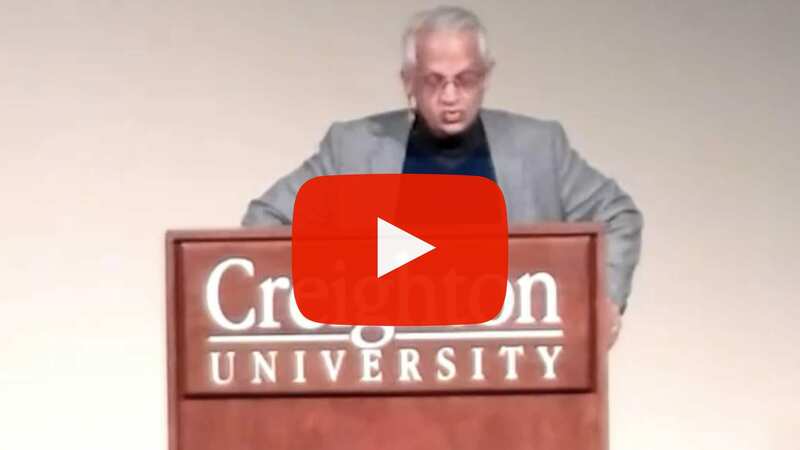 Dr. Veerabhadran “Ram” Ramanathan (aka the Pope’s Climate Scientist) and Vatican representative at the UN Climate Negotiations in 2015, 2016 spoke at Creighton University on February 22, 2018.